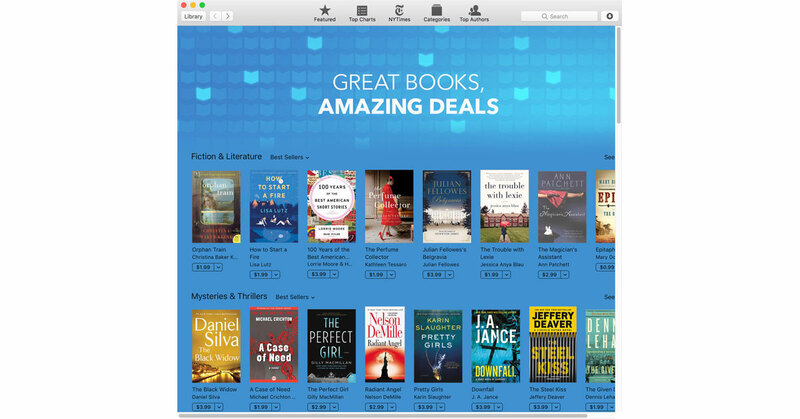 Apple’s iBooks has loads of books on sale, and they’re all $0.99, $1.99, $2.99, or $3.99. There are hundreds of them in Fiction & Literature, Mysteries & Thrillers, Biographies & Memoirs, Nonfiction, Romance, Young Adult, Kids, Cookbooks, Food & Wine, and SciFi & Fantasy. It’s a mix of big and little names, including Tolkien, Daniel Silva, Stephen Ambrose, Bill Bryson, Neal Stephenson, Octavia Butler, and many, many more. If you scroll all the way to the right on any given category, there’s a “See all” link that will take you to every book in just that category. I personally just picked up Atlas of Lost Cities.